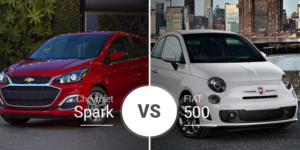 The midsize sedan segment isn’t as popular as it once was, but there are still plenty of premier models available for our Bay City, Linwood and Standish buyers. 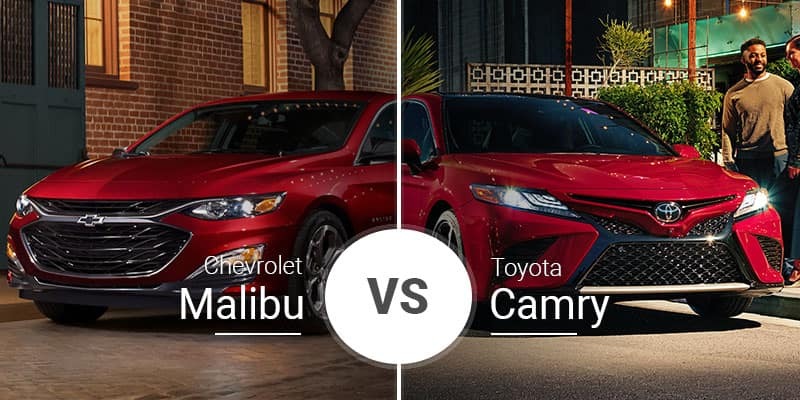 Chevy and Toyota both have great options for you in the 2019 Malibu and 2019 Camry, respectively, but which one is the better buy for you? Find out here. 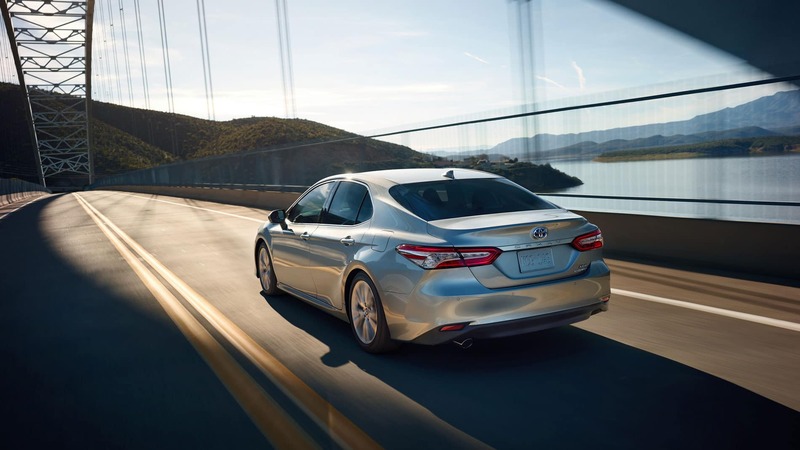 The midsize sedan segment became vanilla over the years, but with new faces like the Malibu and Camry spicing it up, things have taken a turn for the better. The 2019 Chevy Malibu’s looks are all-new after a refresh, while the Camry is just a year removed from a full redesign. The 2019 Malibu boasts a more traditional midsize sedan look, but it is far from boring. The Camry, on the other hand, is lower and wider than before and features a sleek and sporty design that the midsize segment typically lacks. 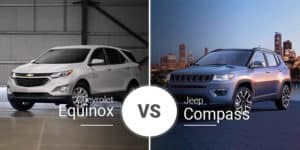 Both models have basic base trims with steel wheels, hubcaps and the basic exterior wares, but they also have more upscale models with large wheels and premium features. They also have their respective sporty models in the Malibu RS, and Camry SE and XSE. As midsize sedans, the 2019 Malibu and 2019 Camry are similar in size. The Malibu is 193.8 inches long, 73 inches wide, and 57.6 inches high. It rides on a 112.2-inch wheelbase. The 2019 Toyota Camry is 192.1 to 192.7 inches long, 72.4 inches wide, and 56.9 inches high. It sits atop a 111.2-inch wheelbase. Inside, the 2019 Camry and 2019 Malibu have the standard midsize sedan look. The Malibu’s look is even more standard, while the Camry’s interior looks are more unique and sporty with its Y-shaped center stack and more aggressive seats. Both models also feature high ceilings with their premium upholstery, sound systems, and infotainment systems in their top trim levels. In its front seats, the 2019 Malibu has 40.1 inches of headroom, 45.3 inches of legroom, 58.5 inches of shoulder room, and 54.1 inches of hip room. 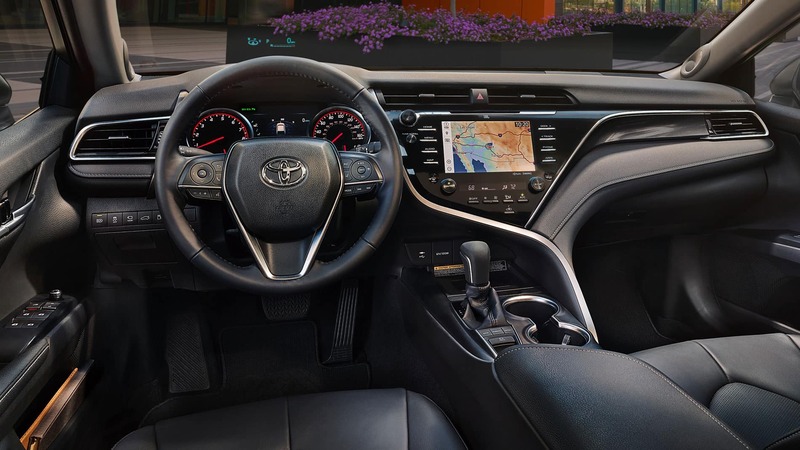 The 2019 Toyota Camry’s front seats have 1.8 inches less headroom, 3.2 inches less legroom, and 0.8 inches less shoulder room, but they have 1.3 inches more hip room. 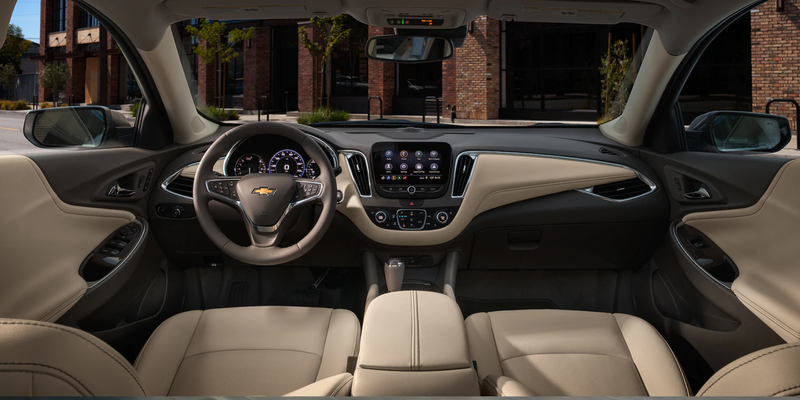 In its rear seats, the Malibu has 37.5 inches of headroom, 38.1 inches of legroom, 57.1 inches of shoulder room, and 53.4 inches of hip room. The Camry comes up short by 0.1 inches in legroom and 1.4 inches in shoulder room, but it has an extra half inch of headroom and 1.3 inches in hip room. In its trunk, the 2019 Camry has 14.1 to 15.1 cubic feet of luggage room. The Malibu trumps it with 15.8 cubic feet. 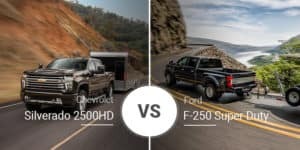 The midsize segment is all about a balance between fuel economy and performance, and both the 2019 Chevy Malibu and 2019 Toyota Camry deliver. The 2019 Malibu’s base engine is a 1.5-liter turbocharged four-cylinder that produces 160 horsepower and 184 pound-feet of torque. This power routes through a continuously variable transmission that delivers power to the front wheels. This amounts to an 8.3-second 0-to-60-mph time in independent testing. 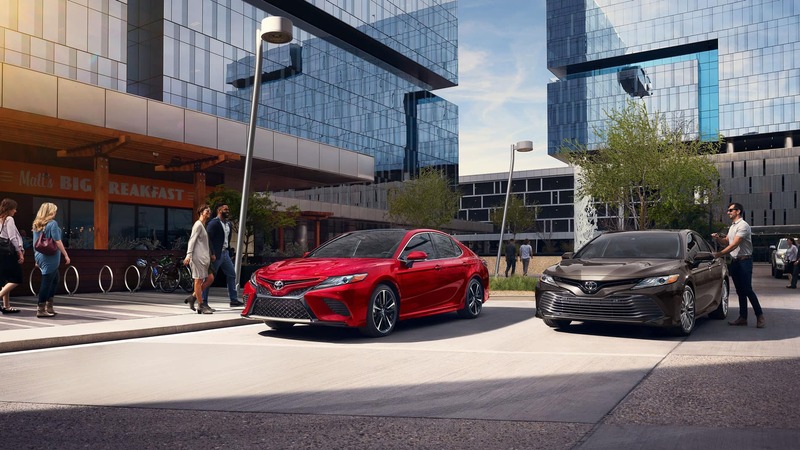 The 2019 Toyota Camry’s base engine is a 2.5-liter four-cylinder that produces 203 to 206 horsepower and 184 to 186 pound-feet of torque. This power heads through an eight-speed automatic transmission and out to the front wheels for an independently tested 7.9-second 0-to-60 time. The 2019 Malibu Premier comes with a 2.0-liter turbocharged four-cylinder engine that produces 250 horsepower and 260 pound-feet of torque. This power moves through a nine-speed automatic transmission and out to the front wheels for a 5.7-second 0-to-60 sprint in independent testing. The 2019 Toyota Camry’s optional 3.5-liter V-6 engine produces 301 horsepower and 267 pound-feet of torque. This power flows through an eight-speed automatic transmission before heading to the front wheels for an independently verified 5.7-second 0-to-60 sprint. Fuel economy is the other side of the coin in the midsize sedan segment, and the Malibu does well with its 1.5-liter engine delivering up to 29 mpg city, 36 highway, and 32 combined. The Camry with its base 2.5-liter engine gets up to 29 mpg city, 41 highway, and 34 combined in its L trim, but its other trims see their fuel economy fall to 28 mpg city, 39 highway, and 32 combined. The optional engines in the Malibu and Camry get the same 22 mpg city, 32 highway, and 26 combined. 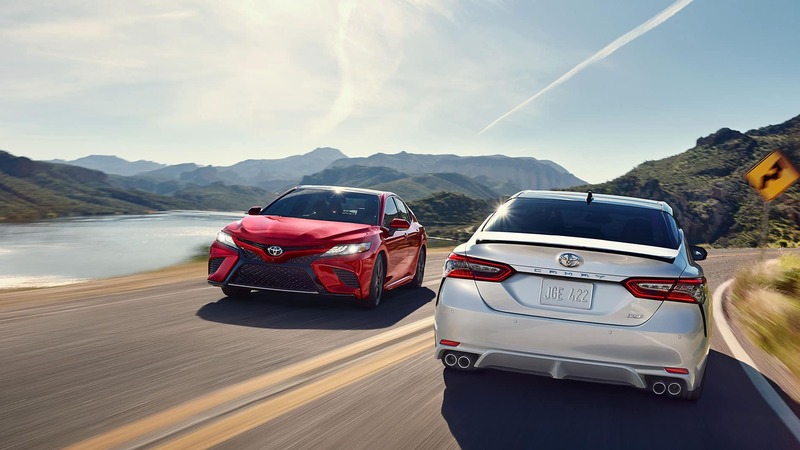 There are also seven trim levels that make up the 2019 Toyota Camry lineup: L, LE, SE, XLE, XSE, XLE V6, and XSE V6. Starting prices range from $23,845 to $34,600. 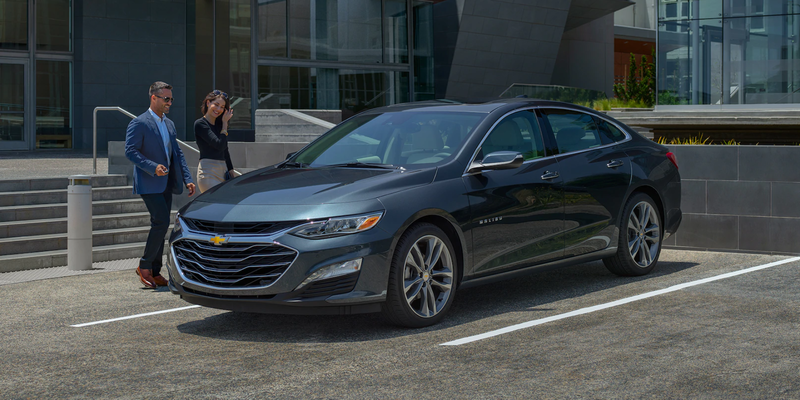 The 2019 Chevy Malibu is perfect for a buyer looking for a lower-priced sedan that doesn’t compromise on room and luggage capacity. It also offers plenty of premium goodies in its higher trim levels without the higher top-end price of the Camry. Who Should Buy the 2019 Toyota Camry? Legendary reliability, a potent V-6 engine, and a performance-oriented XSE model make the Camry a great option for a wide range of buyers. It also has a higher ceiling in terms of premium features, making it the better option for buyers looking for the best of the best tech and luxury. 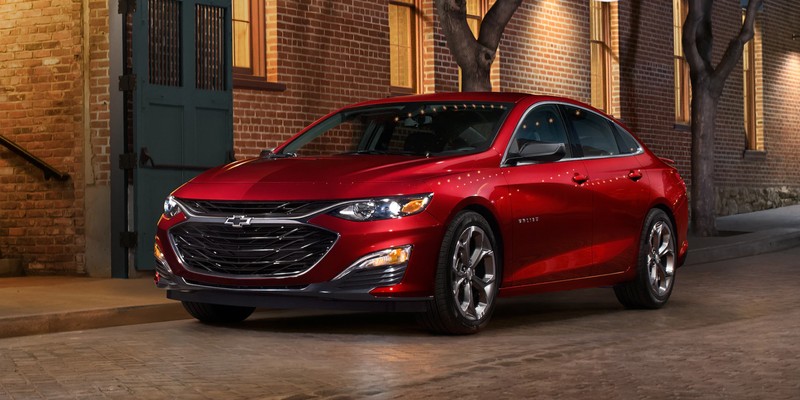 Ready to tackle the daily commute to Linwood, Michigan or just planning to cruise to Bay City once in a while in the 2019 Chevy Malibu? Stop by Garber Chevrolet Linwood to test drive the 2019 Malibu and see if it’s up to your liking. We’re certain you’ll love it. If you cannot make it in today, you can check out our online inventory to see if we have a 2019 Malibu in stock that suits your needs.